Find relief for the pain and itching of this disorder. This guide is about remedies for shingles pain. Anyone have any home remedies to relieve the pain during the first stages of shingles? Chiggerex medicated ointment with aloe vera gel. This was a remedy given on this site about a year ago. With shingles it is best to keep them dry. L-Lysine which can be bought over the counter will give you relief. It also works for cold sores. It is taken by mouth. An ice pack over a dry cloth will also give you relief. Wear loose light clothing. The L-Lysine is a miricle in my opinion. I get shingles often and have had chicken pox three times. I have had shingles since September 2016. The rash is gone, but the nerve pain is still very bad. Shingles takes a long time to go away. My daughter had it and she felt pain, especially when she took a shower. Pour 1 to 2 cups of colloidal oatmeal or cornstarch into lukewarm bathwater and soak for 15 to 20 minutes. Do not use hot water. Hot water can worsen shingles blisters because heat increases blood flow. Dry your body completely and then wash your towel to avoid spreading the virus to others. I'm sorry for your pain. There is really not much you can do unfortunately since it is residual nerve pain. In every day language: Shingles are a result of the chicken pox virus lying dormant in your nerves until a stress of some sort triggers it to become active again. Because it now resides in your nerves, this is why you still have so much pain even after the visible sores are gone. There are a few prescription medications that are somewhat helpful and can make you a bit more comfortable for this duration until your nerves have had some time to heal. One is called Gabapentin and is useful for nerve pain specifically from shingles. There are others too. It would be best to see your doctor to find the best fit for you. I am sorry that you are in so much pain. I wish that someone could offer some really good treatments/medications that would send the pain away forever but I have never heard of any such medicines. There are several medications that your doctor can prescribe that will help you endure the pain but I'm afraid that even if it goes away for a period of time, it may return at a future date. Here are a couple of links to help you understand what is happening and some advice on what medications your doctor may prescribe for your pain. Does anyone have information about using geranium oil for the treatment of shingles? I misplaced my information about using geranium oil and another type of oil for relieving the pain of shingles. I would appreciate any help. I know two people who are suffering from this and would like to pass on this information. I do not know about Geranium oil, but have first hand knowlage on the care of Shingles. Look up www.aloetherapy.com and they have lots of info about Shingles. It is a breakdown of the imune system. You have to treat the inside as well as the breakout or you will have scarring. I would be glad to talk to you 1st hand if they would pass on my e-mail address. mom soaked towels in warmed vinegar and a bit of water and put them on my dads shingles. it smelled but the vinegar dried those things up. vinegar has wonderful healing properties. 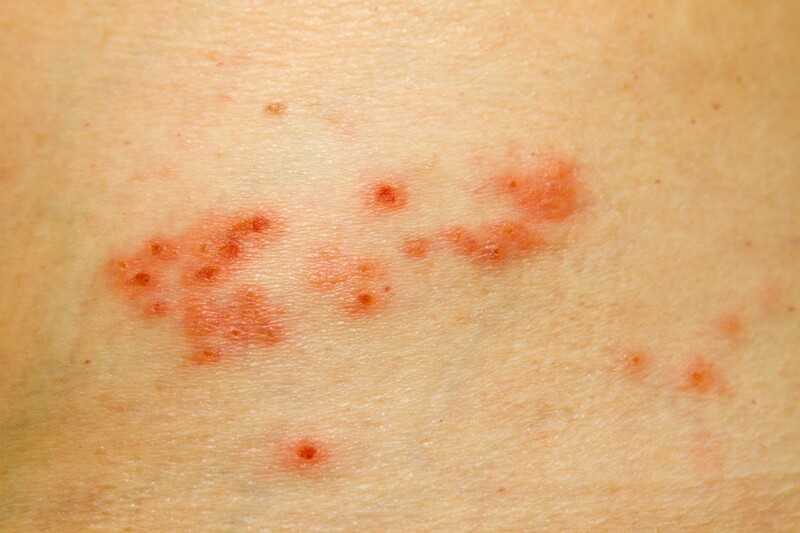 Shingles is a very painful adult recurrence of the same virus that causes chickenpox. If you have not had the vaccination there are antivirals available by prescription, but for home remedies some people have had success with L-lysine and or epsom salts soaks. This is a guide about home remedies for shingles.